PetLifeEliteR pHDownTM is citric acid buffer to lower pH. 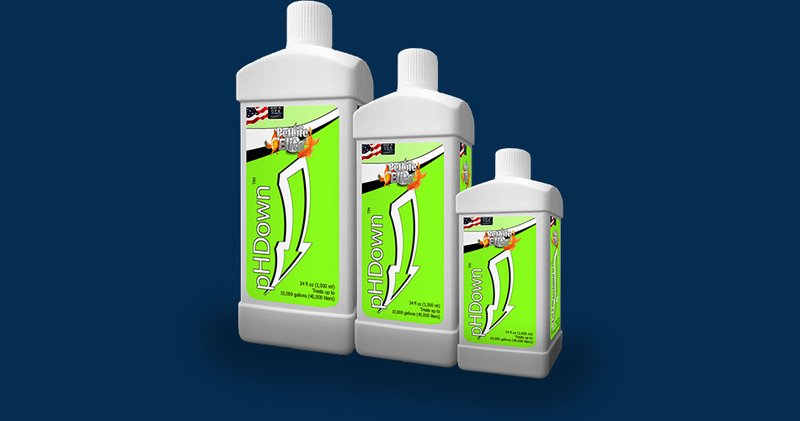 It is designed for the planted and reef aquarium or for very hard water where phosphate buffers may pose an algae or cloudiness problem. PetLifeEliteR pHDownTM lowers pH and buffers between 2.1 and 7.4. As PetLifeEliteR pHDownTM lowers pH it not converts carbonate alkalinity (KH) into available Co2 . It may also be used to safely lower pH in saltwater. Add 20 ml (1 capful) per 200 gallons (800 liters) in a high flow area of the sump. Add daily until desired pH is reached. Larger doses may be required in very hard (KH) or alkaline waters. Add in the night to prevent overshoot of pH. Adjust dosage according to individual requirements (use PetLifeEliteR pHTestTM) every 20 ml per 200 gallons (800 liters) will decrease the pH level by approx 0.10. Do not exceed 20 ml of this product per 200 gallons (800 liters) per 24 hour period. Deionized water, Citric acid food grade.